Six out of the seven Canadian teams will have at least one member of their organization up for an honour on Wednesday night (8 p.m. ET) at the NHL Awards in Las Vegas. Six out of the seven Canadian teams will have at least one member of their organization up for an award on Wednesday night (8 p.m. ET) at the NHL Awards in Las Vegas. Of all the teams with a stake in the awards night, the Edmonton Oilers are up for the most with three, which doesn't include Connor McDavid securing the Art Ross Trophy for scoring the most points in the regular season (100). 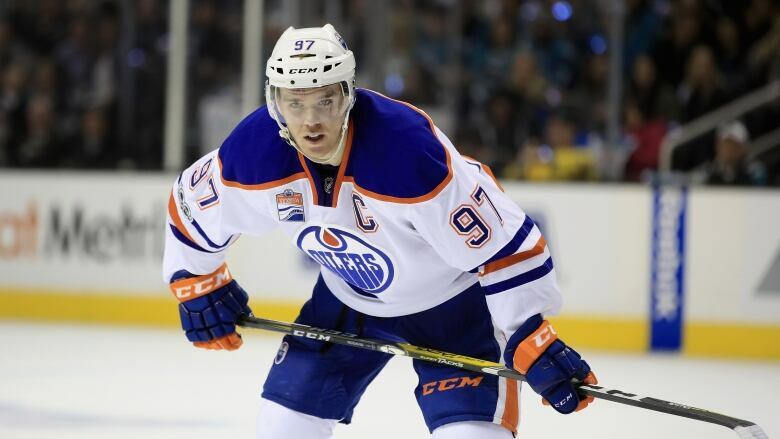 McDavid is also a heavy favourite to take home the Hart Trophy as league MVP. Calgary, Edmonton, Montreal, Toronto and Winnipeg will all have a chance at the spotlight. Gaudreau saw his goal scoring fall off a bit last season, but then, so did his penalty minutes. He just took two minor penalties in 72 games played, all while putting up 61 points, so he has to be considered a strong contender for the Lady Byng. The last Flame to win most gentlemanly player? Jiri Hudler in 2014-15. With McDavid already having locked up the Art Ross, he has a strong case to win the Hart Trophy as well. Perhaps if voting on the award could have been extended into the playoffs, Sidney Crosby would hold the edge for this one, but McDavid also had his moments for the Oilers in the post-season. The last Oiler to win the Hart was Mark Messier in 1990, and the last to win the Art Ross was Wayne Gretzky in 1987. While McDavid gets most of the credit for the Oilers' turnaround, coach Todd MacLellan should get props for ending the team's 10-year playoff drought. MacLellan should be a strong candidate to win the Jack Adams Award as top coach. Chiarelli is also up for the GM of the Year award, as he has managed to surround McDavid with the likes of Milan Lucic and Cam Talbot in order to help the Oilers improve from a 70-point finish in 2015-16 to a 103-point total last season. Price won the Vezina in 2014-15 and has as good a shot to win it again against the other nominees, including Columbus' Sergei Bobrovsky and Braden Holtby in Washington. Prior to Price's last win, the last Montreal goalie to win the trophy was Jose Theodore in 2001-02. 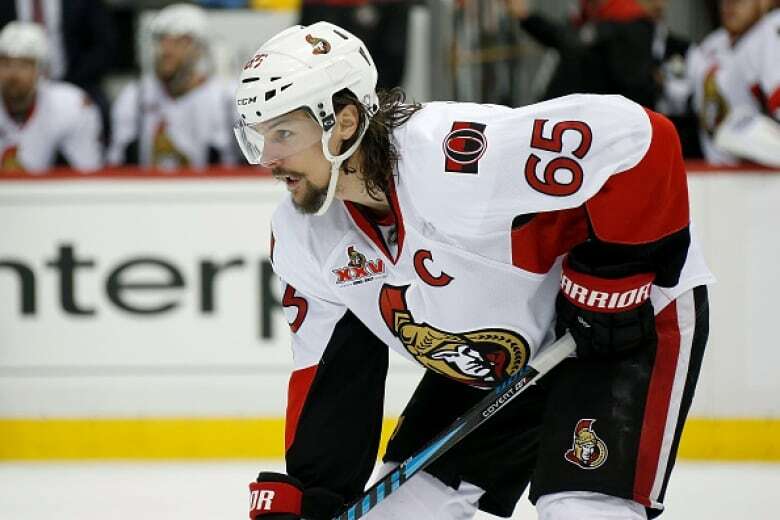 Karlsson won the Norris two other times, in 2011-12 and 2014-15, and will be looking for the hat trick this season. He is the only Senators player to win it since the award was introduced in 1953-54. Anderson has been nominated for the Masterton for his work while he supported his wife with cancer. No Sen has won the award since its inception in 1967-68. Dorion is up for GM of the Year, and could become just the second GM of a Canadian team to take home the honour since Mike Gillis won in Vancouver in 2010-11. Of course, he's also facing a stiff challenge in Chiarelli. Not a single Toronto Maple Leaf has won an NHL Award since 2007-08 when Mats Sundin won the Mark Messier Award for Leadership, and Jason Blake took home the Bill Masterton Trophy the same season. But times are changing in Toronto. Matthews could become the first Leaf to win the Calder trophy since Brit Selby in 1965-66 after scoring 40 goals on the season and leading all NHL rookies in points (69). Remarkably, Matthews tied for second in the league in goals and also set a franchise record for rookie goals, shattering Wendel Clark's 34-goal mark set back in 1985-86. On a team with as many budding young stars as the Leafs, the one man getting credit for their emergence is coach Mike Babcock. The Leafs saw a 26-point improvement in the standings between 2015-16 and last season, which is just one of the reasons Babcock is up for the Jack Adams this season as the league's top bench boss, though he faces tough competition for the award in Columbus' John Tortorella and the Oilers' MacLellan. It was in 1992-93 that a Leafs' coach last held the honour of being named top bench boss, with Pat Burns leading the team to the conference finals. Although Matthews may be the favourite to win the Calder, there is an argument to be made that Laine is actually more deserving. Although Matthews outscored Laine by five points this season, he did it while playing in nine more games, with Laine missing time with a concussion. If Laine were to pull off the upset, he would be the first Jet since Teemu Selanne in 1992-93 to take home the rookie hardware.